This summer our friends decided to have a “Things-on-a-Stick” themed party and it was as yummy as you’d expect! I expected a tonne of meats on sticks but was pleasantly surprised to see the most delectable desserts on sticks. My favourite of the night was S’more Pops! They were so classy looking and zero mess. Perfect treat for the kiddies. Without further ado, here’s how it’s done. Crush up the graham crackers on a plate. I like to use the bottom of a glass cup or measuring cup to smoosh them up really fine. 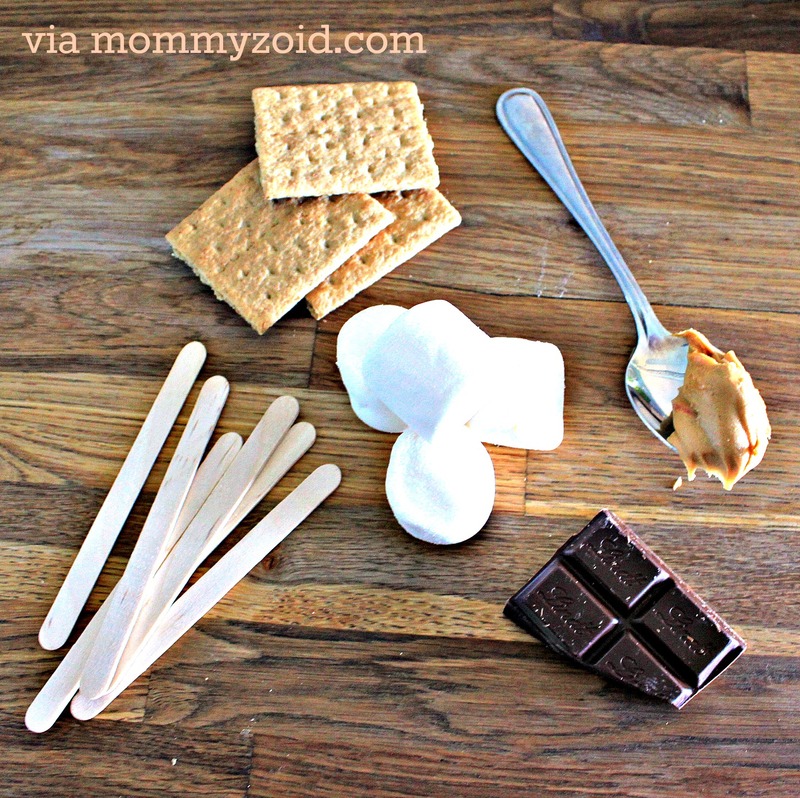 Cram your popsicle sticks (or tooth picks) into the marshmallows without puncturing all the way through. Slowly heat up your pot of water with your heat proof bowl inside on low heat. This is called a “double boiler”. 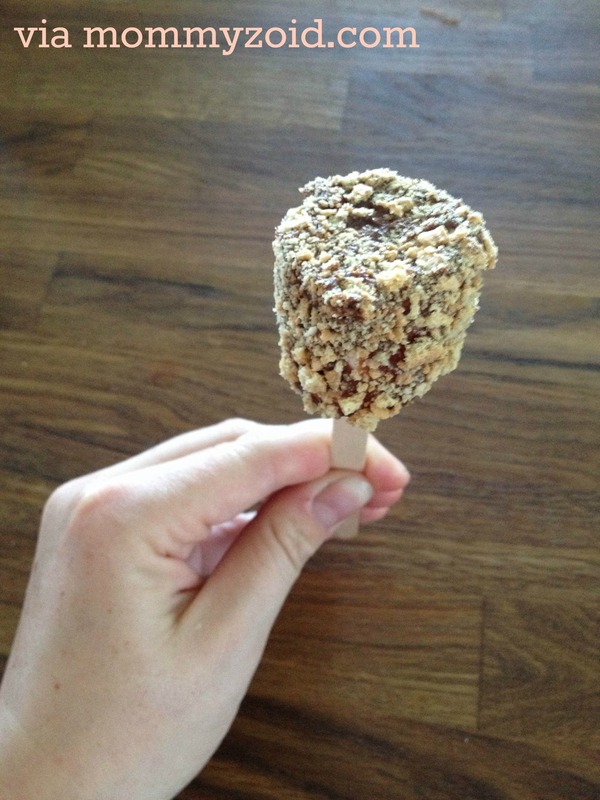 Prop tip…it works way better than quickly melting it in the microwave because it wont harden as quickly. Add your chocolate chips and peanut butter, stirring them together as they melt. Dip your marshmallow in the chocolate, careful not to melt the ‘mallow! Use a spoon to help smooth the chocolate coating out. Take care to cover the base of the ‘mallow where the stick is stuck in to help keep it on the stick. Before it dries and hardens, roll the deliciousness in the crushed graham crackers and set up-side-down on a plate to dry and harden. Stick in the fridge to harden even quicker. Substitutions: Roll in peanuts or shredded coconut to jazz them up a little! Find this recipe and many other DIYs here.